Meet the team that's creating a wave. Mr. Chakrabarty is the Founder and Managing Partner of Capital Square Partners, and Director on the Board of CSS Corp, AEGIS, and INDECOMM Corp. He was previously a Board member of MINACS, prior to its strategic sale to SYNNEX (NYSE: SNX). Prior to founding CSP, he was the President and Venture Partner of Columbia Capital’s India and SE Asia investments. Before his investment role, Sanjay was the Founder & CEO of MobiApps Holdings, a technology company that built products and services based on a patent protected radio frequency semiconductor for satellite communications. He led the company from startup to a strategic exit to a NYSE listed company in 7 years, including creating and operationalizing a joint venture with TATA Autocomp Systems. His professional career included working as a management consultant with Arthur D. Little based in Washington DC and Singapore, primarily in Telecommunications, Technology & Energy sectors. He received his MBA from Carnegie Mellon University where he was a Danforth fellowship recipient, and has dual B.S. degree’s in Computer Engineering & Mathematics from Pennsylvania State University at Slippery Rock. Mr. Sharda is the co-founding Managing Partner at Capital Square Partners. He is on the Board of Directors of AEGIS and Indecomm Corporation. Prior to joining CSP, he was Executive Director and Country Head for Avenue Capital Group, an investment manager with over $13 billion of assets under management and dedicated funds of $5 billion raised to invest in Asia. Mukesh covered investments in South East Asia and India, and has a strong investment track record in private equity and structured investments. Prior to joining Avenue, Mukesh worked in investment banking (Structured Finance and M&A team) for over nine years in Singapore and Hong Kong, mainly with Deutsche Bank. He is a Member of the Board of Directors at National Citizen Bank (previously Nam Viet Bank) in Vietnam, which has $1.2bn in assets and 92 branches across Vietnam. He is a Chartered Accountant from the Institute of Chartered Accounts in India where he was a national rank holder, topper in Bachelor of Commerce from Gujarat University, and has attended several management leadership programs at Deutsche Bank. Mr. Rao is a Managing Partner with Capital Square Partners, and a Board member at AEGIS and Indecomm Corporation. Prior to joining CSP, he was Managing Director, Investment Banking with Credit Suisse in South East Asia. Prior to Credit Suisse, he was Managing Director and head of clients and origination at ING Bank in South East Asia. Before transitioning to investment banking, Mr. Rao was Country Manager, Indonesia with Actis, a leading emerging market focused growth and buyout fund managing over $6 billion. Prior to this role in private equity, he was a Partner with the Australasian practice of PricewaterhouseCoopers, focusing on Transactions Advisory. He has over two decades of experience in South East Asia, and has been involved with over $10 billion of corporate and capital investments, re-organizations, buy and sell side advisory and principle fund investments across the region. He received his MBA from the Indian Institute of Management, Calcutta where he graduated in the top 10% of the graduating class, and a Bachelors degree with honors in Electrical Engineering from the Indian Institute of Technology where he received the university merit scholarship for all 4 years of the program. Mr. Sengupta is an Operating Partner of Capital Square Partners, and Chairman of AEGIS. Previously, he was the Executive Chairman of MINACS during the period MINACS was a portfolio investment of CSP. 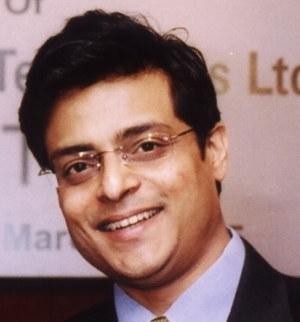 Prior to joining Minacs, Aparup was the Global CEO and MD at Aegis. He led Aegis’ transformation from $60million in revenues to over $ 850 million company with 60,000 people in less than seven years. He has been part of the founding team behind three successful start-ups: 24/7 Customer, Ion Idea and Think Harbor. Economic Times of India honored him as the CEO of the Year at the BPO Industry Awards 2010. He has also been featured in the IAOP’s Powerhouse 25 – Top leaders in the Outsourcing landscape, 2011. He received his B.E in Engineering degree from the Bengal Engineering and Science University, which conferred him with the distinguished Alumnus Award, and has attended several management leadership programs at XLRI, Indian Institute of Management (IIM) and Portsmouth University, UK. Mr Banerjee is an Operating Partner at Capital Square Partners. He is also an independent Director on the Board at leading technology firm L&T Technology Services, Kesoram Industries and IFB Industries. A 35 year veteran of the Information Technology Industry, Sudip was previously the CEO of L&T Infotech - where he took a $390 million business to a revenue run rate of $ 650million in less than 3 years. 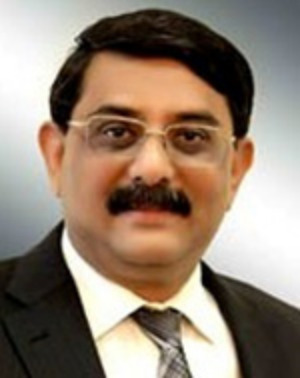 Prior to L&T he spent 25 years at Wipro Technologies, where he started as one of the founding team members and went on to serve as the President of the Enterprise Division. He is widely credited to be a core team member which took Wipro from almost a start-up to its current position of a multi billion dollar global leader in the IT Services segment. His experience includes several global M&A transactions at both Wipro and L&T. In addition, Sudip has been an executive council member of Nasscom, and has served on advisory boards of several leading academic institutions. He has a Management Diploma and a Bachelor of Arts (Honours) degree in Economics from Delhi University.